December. Time for some of us to finish work for the year. Prepare for Christmas festivities. And holidays. 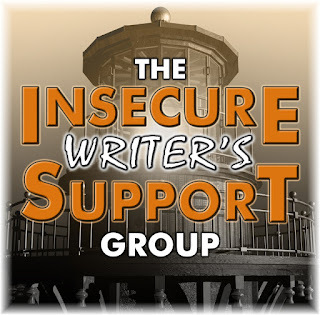 It's time for the IWSG posts. Alex's awesome co-hosts for the December 5 posting of the IWSG are J.H. Moncrieff, Tonja Drecker , Patsy Collins, and Chrys Fey! 1. 2 whiteboards with my current projects and plotting ideas. 3. French figurines and artworks I study while I'm looking for inspiration for my French novels. 4. A foot massager under my desk - not human, LOL, a wooden one. 5. An air conditioner and fan without which I could not write. How about you? What do you have in your writing space? How's your December shaping up? What're your goals for 2019? 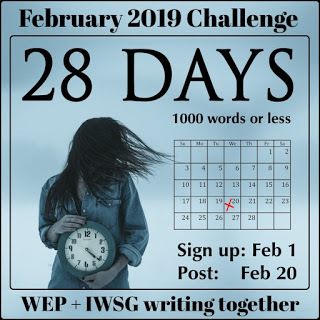 The IWSG held a competition, open to all, for the best writing prompt to kick off 2019 in February. They graciously offered a prize. The WEP team chose an entry by Toinette Thomas, 28 DAYS. 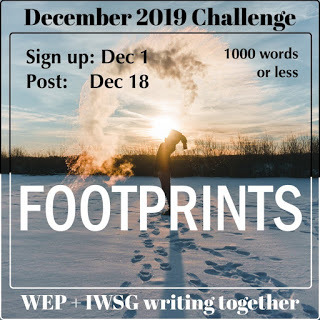 There was an in-house competition between the IWSG admin to come up with the best prompt for December 2019. The winner was Tyrean Martinson. The WEP team liked her suggestion, FOOTPRINTS. Now we have all the prompts and blurbs in the bag for 2019. Here is the year badge. You can go HERE and read the blurbs. 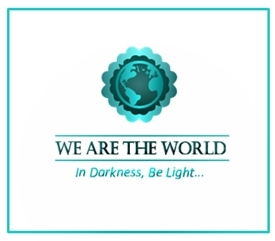 It will be an exciting year for the WEP/IWSG partnership. I hope you'll join us. 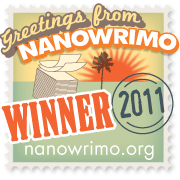 We'd love it if you shared the badge on your blog or facebook etc. 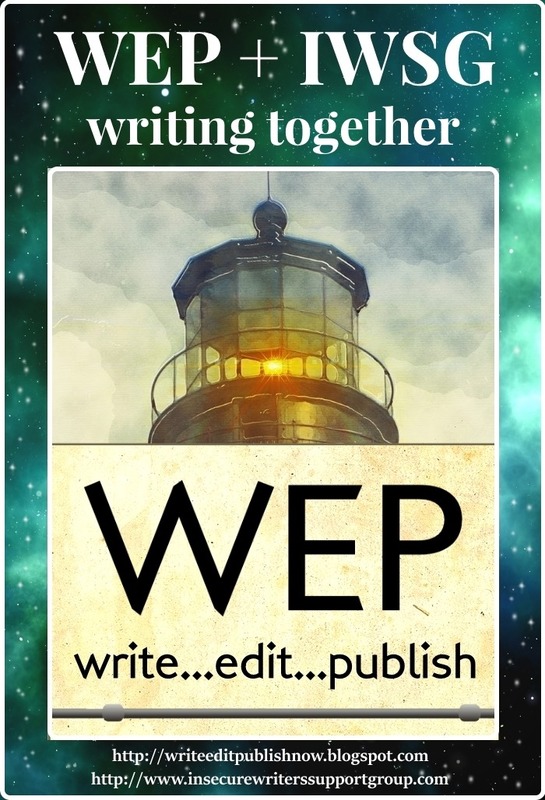 If you haven't joined the WEP mailing list, it's a great way to get reminders of challenges, winners and guest posts. Go HERE and sign up! I had to laugh about the foot massager not being a human. That is a good idea--a not human one--to add to a writing space. Sure is Cherie! Love it. It's probably good that you don't have a human foot massager. It wouldn't stay in place as nicely as the non-human one. Plus a human hiding under your desk might be creepy enough to distract you from getting any writing done. It would distract me indeedy. I like to be alone when I write! You need a fan for the poor guy under your desk massaging your feet. Hope all the entries go up early! Interesting Roland. I just listen to the breakers instead of human music. I need to get a foot massager, but I might prefer a human one. Ha! Ha! Loved seeing what's in your writing space. Thanks Natalie. I meant to post pictures but forgot I had this scheduled. Seeing I spend so much time in it, my space needs to be comfy. I love the idea of a foot massager. Somewhere, I think we actually have an electric back massager - basically a cushion that hangs on the back of a chair with some kind of vibrating mechanism in its thickness. Have to hunt for it now! Now that wasn't too hard, was it Ian? Yes. I had one of those back massager thingos but lost some of its bits. Oh my gosh, we have similar things in our writing spaces. I love it!!! We gotta love our writing spaces since we spend hours every day there! haha oh where the foot massager could go. Should be a fun year for WEP too. I'm looking forward to a great year in 2019. Have picked up some awesome writers since we went wide. At the moment I have a space heater and I love it. I would freeze to death without it. LOL. I scarcely know what a space heater is. But I know what an air con is and that's all that matters where I live. 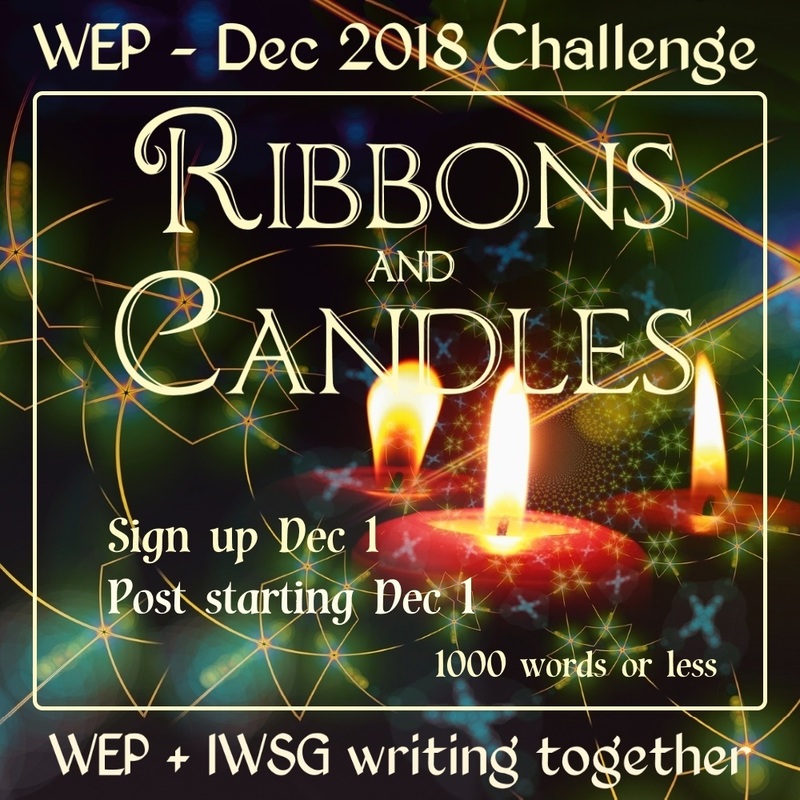 I'd better catch up with those WEP posts! Sounds like you have beautiful views in both spaces. Very lucky. I am Nick and I know it! Yep. Great to get some early posts happening! Oh, boy, I need to get going on my WEP story! 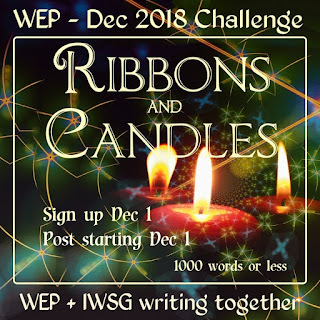 I made a start on one, but it wasn't going anywhere--and then I discovered the prompt was "Ribbons and candles," not "Ribbons and lights" which was what I was working on. I like the idea of a foot-massager, though like you I think I'd find a human one too distracting. Right now I'd like it to be a foot warmer, too, as we are charging full-tilt into a Maine winter. But for the next 6 months, minimalist will be the name of the game, as we travel more or less non-stop. I'll be looking for libraries and cafes. Foot warmer, LOL. I'd never need one of those. That travel sounds great. Cafes and libraries are favorite places of mine too. 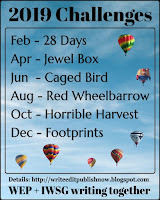 The challenge is here already! EEK! Doesn't look like I can post this time. Way to busy finishing up MK and reading a cool vampire story... Your writing spaces sound wonderful. I love mine in Chicago, but here i Florida I write in my LR... Not as inspirational, but the weather is LOVELY! I'm busy reading a cool memoir, but I don't have the luxury of not posting, LOL. You've actually seen pics of my space, remember? Glad the weather is lovely. Our cool change is holding! I have so many goals for 2019, I get tired just thinking about them! 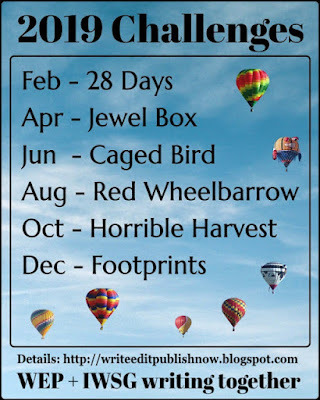 I'm hoping to write between six and twelve books next year, which will be a huge increase in productivity for me. And start a vlog. And do way better with marketing. Fingers crossed! Thanks for letting us into your writing space. Happy holidays! It sounds like you belong to 20booksto50k. Some people publish a new book every 2 weeks. When i start hitting Publish i will have a lot ready to go. Meanwhile, rewrites, beta reads, covers to organize...blah blah blah. Good luck you! Your writing spaces sound very nice. I don't have much of a view from my home office other than the houses across the street from me. I do have a lot of books within easy reach--in my office I keep most of my reference books, but these days with search engines I don't often turn to those books. Ah, Google has made a big impact on research, but I've found it woefully inaccurate in rulers/dates. It's good to have a 'real' book to double check. You have a nice writing space. My office is in my basement and I don't have a view because my desk is purposely facing a white board and a pin board that I look up at every now and then. By the way, I finally found out the problem with posting on your website. Safari is having problems with the sites from Blogger. So, now I'm using Google for the IWSG and hoping that when I finish writing this comment, it will go through. Wishing you a very Merry Christmas and all the best. Yay, Pat, one of your beautiful comments.I use Chrome on laptop and Safari on my phone. I never have trouble commenting. Wishing you a very Merry Christmas, too, Pat. All the best for 2019! I'm signed up! And it looks like there are going to be a lot of entries this time around. I'd never thought of keeping a foot massager under my desk, but now I am. Great idea. I see that Lee! Good for you! A foot massage thingy. I need that. I don't have much view. My front yard though it's pretty when it snows. Looks like the foot massager is a hit! 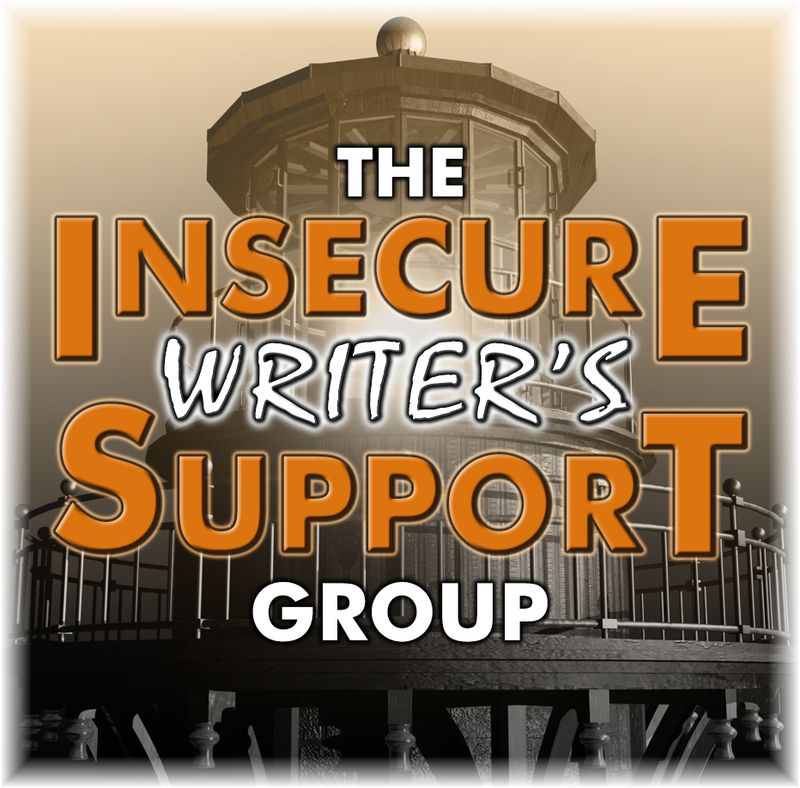 Hi Denise: It's nice to be back and resume chats with you and the IWSG members. What's on my desk right at this minute is one large cat, staring at me and after tripping over my keyboard. He has rearranged the litter on my desk (eye glasses, bills receipts, mouse, roll of toilet paper and inadvertently cranked up the music volume - or deliberately (he's pretty clever). He likes being brushed and would, if he could, bring me his grooming thingy. I better sign off before he hits the delete button, LOL. Ha Ha Judy. What fun in your writing room. I have my littel chihuahua but she's not an object, LOL. And she stays in her bed on the floor. Nice to hear from you again! You have two "dream" writing spaces. When I am not home, I LOVE writing at the library...and as for writing with a view of the ocean, well, I can't even imagine how wonderful that would be. I'm not far from the sea, and I get there for inspiration, so I am lucky in that regard. My desk looks out the window to the street. Sometimes there's some inspirational watching from there. Liza there's always inspiration of some type wherever we look. I"m especially blessed and I know it. P.S. Not a human foot massager under your desk? Put one on your X-mas list! Ah I'll keep my human foot massager in his place which is not my writing room, LOL. How lucky you are to have 2 ideal places to write. I would love to overlook the ocean. The pond outside my office isn't quite enough. LOL Best wishes for a great month, and thanks for all you do with WEP. I know I'm lucky. Love the ocean. Thanks Diane. A foot massager! What an absolutely marvelous idea! I see the foot massager is a big hit with fellow commenters! I love it too--what a brilliant idea. Just a random pic. You never know what’s going to appeal. LOL, an air conditioner and a fan. I use both too, on certain days. 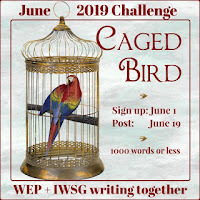 So many exciting challenges coming up for the WEP. And as usual my muse got on the ball and came up with an idea. I know you'll enjoy, but the rest of the world. Well, we'll see! Happy December! Great idea it was too! Foot massager sounds like a very useful tool for the writing space. Thanks JLenni. And a happy holiday season to you ! Seems like we have a lot to look forward to in 2019! 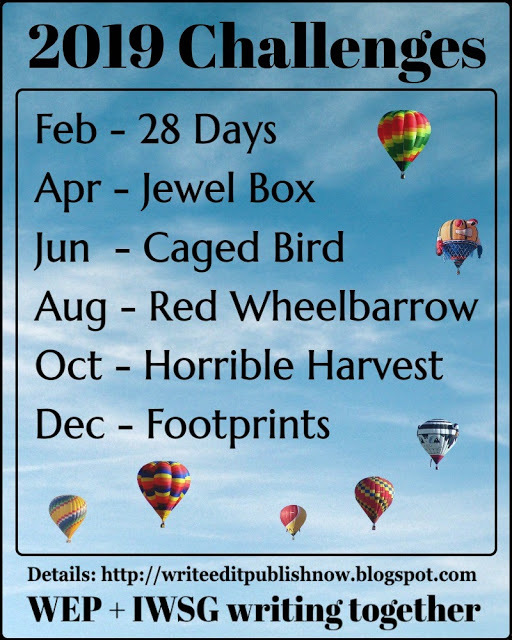 Have a great year ahead, Denise, and i hope I can participate in a few challenges this year. Thanks Damyanti. I hope so too.